Ok show. Fishbone should not be allowed to play in concert halls with seats. No pit, audience filled with gap kids. Primus opened! 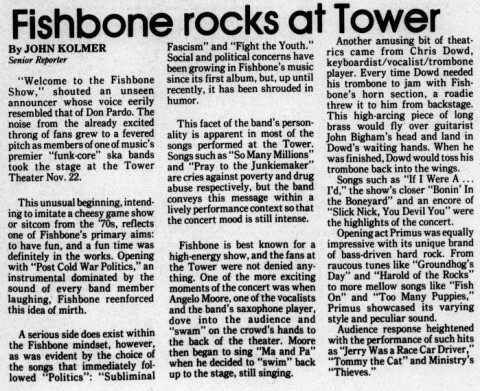 Crowd wasn't really the right crowd for Fishbone. Only song I really remember is Angelo a capella version of Slick Nick. 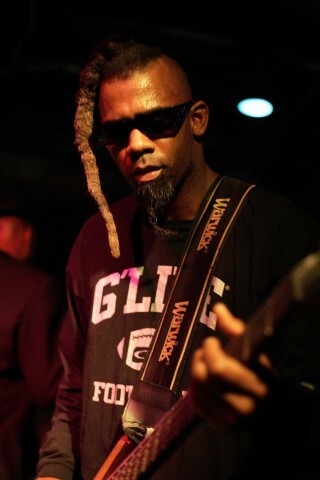 Fishbone is not scheduled to play Tower Theatre anytime soon.